Exactly two weeks ago, the fiance and I had a fun time frolicking in the wild to take our engagement pictures. You can see the behind-the-scenes look of that day here. We were in our natural surrounding as we both like nature and often go on hikes together on the weekend. Today, I was able to view a sneak peek of the our pictures thru an online gallery. I should have the CD with all the photos in the next few days. I will share more pictures soon. I’m happy with how the pictures turned out. It’s simple, it’s lovely and it’s us. On my last post, I mentioned that I have been waking up in the middle of the night feeling hungry and have a huge appetite when I wake up. I eat small meals throughout the day, about 4 – 5 small meals a day. I am going to try out eating a small snack after dinner too to see if that helps with the hungry pangs at night. I really don’t know what to eat as a snack without feeling too full so I’m going to test out a few things. A few of you said you eat toast and drink tea before dinner so I’m going to try that too. 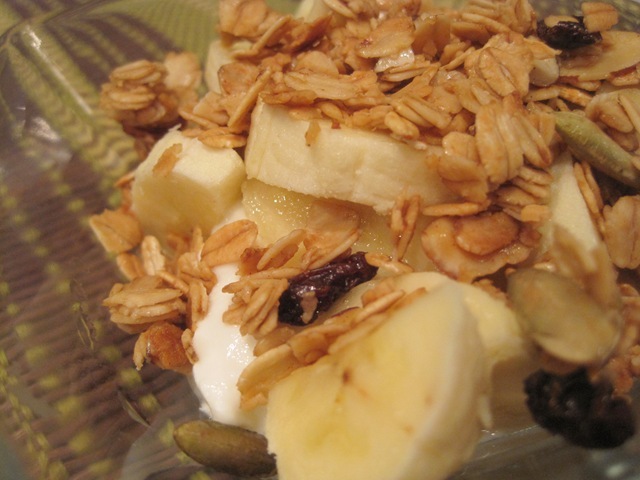 On a small bowl, I had yogurt, half a banana and some homemade pumpkin cherry granola on top. 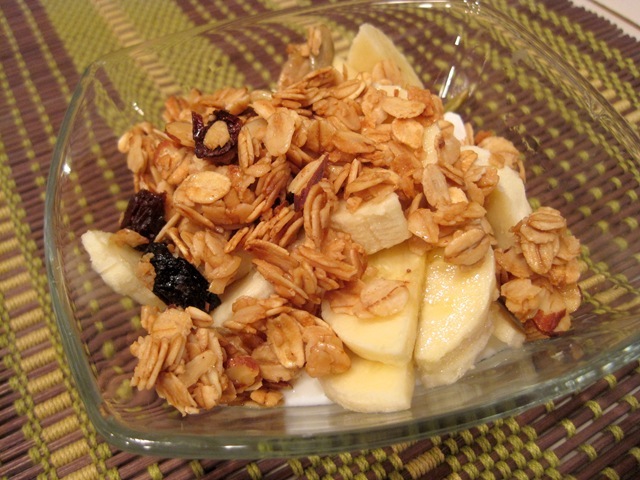 I got carried away with the delicious granola and ended up eating a handful straight from the container. My happy bed time snack bowl. Now that my stomach is happy, I’m going to sip on a relaxing tea and read before bed. I downloaded some new workout songs tonight and I am so excited to use it tomorrow for my workout. Music really do pump me up. I have a protein shake before bed. If not I wake up in the middle of the night starving too. I am a big fan of yogurt with mix-ins before bed. It seems like just the right amount of food and kind of dessert-ish. Hope it works out for you! Well your food looks delicious as always. You are beautiful. Have you ever thought about modeling? Seriously these photos are beautiful. these are so pretty!! you look gorgeous. Your photographer did an amazing job!! PS I’m totally cool w you adding me on FB also! Those pictures are so beautiful and sweet. I usually have something along the same as you for evening snack if I’m still hungry sometimes tea just works too. I’ll also have a raw cookie with hot tea or some raw pudding with a raw cookie. Picture 1/3 of a Larabar or Rawvolution Bar with about 1/2 of raw pudding. So what you are doing is pretty good I just have to becareful with the sugar content otherwise I’m wired again and I can’t bring it down to sleep. Have a nice day! Are you ready for the rain/snow? I’m not I want the sunshine. Oh love love love! The 1st and 3rd are my fave 🙂 So romantic! 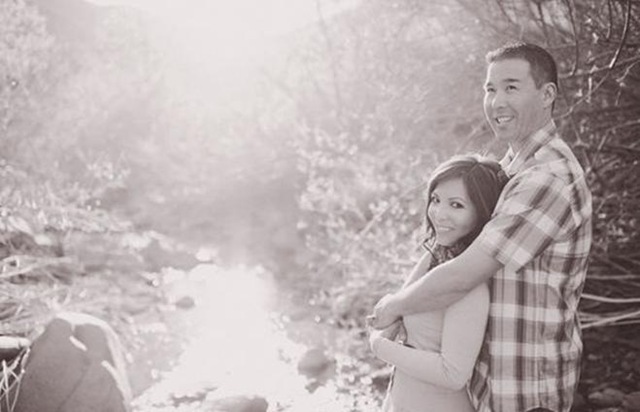 Your engagement photos are GORRRRGEOUS! Gorgeous photography- you make a beautiful couple! I usually eat dinner at about 8 or so and don’t usually need a snack after. 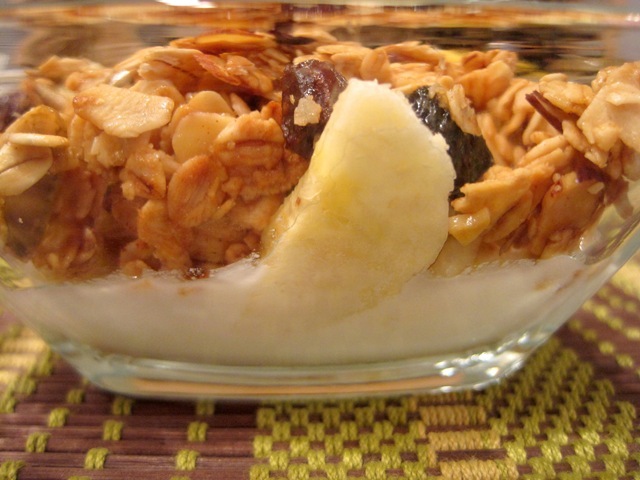 It is pretty substantial and includes some protein and fiber, so maybe a yogurt will work? These photos are just gorgeous!! Thank you so much for sharing! You two look so happy. 🙂 I adore the first photo…so sweet!